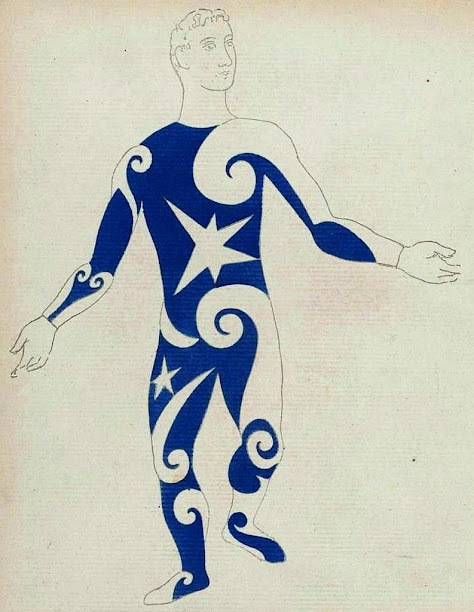 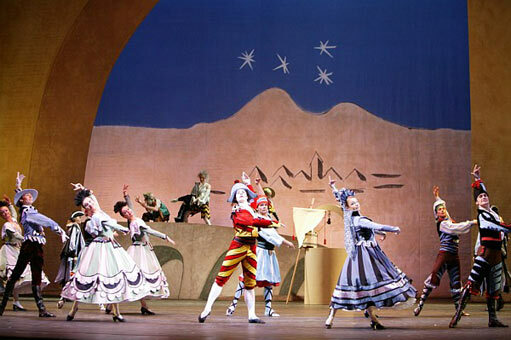 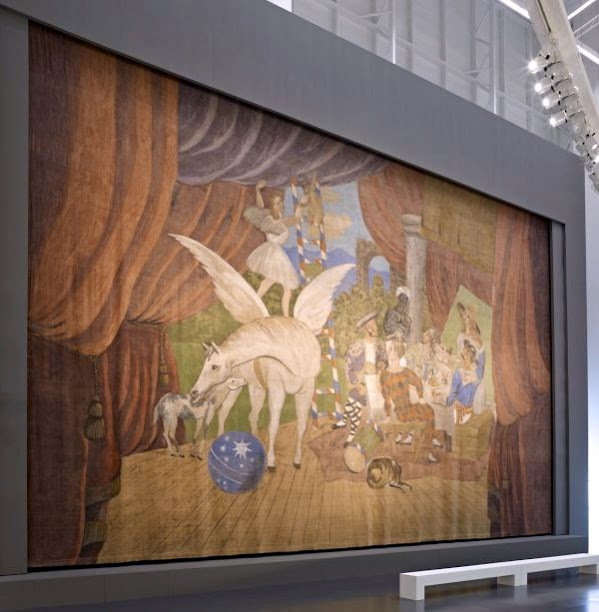 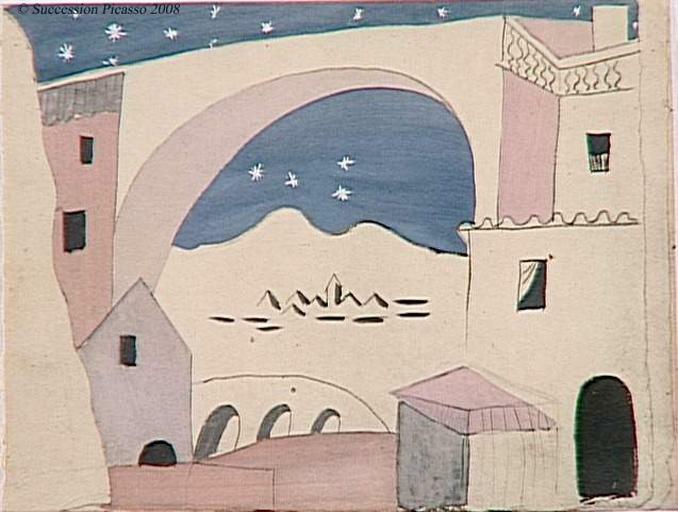 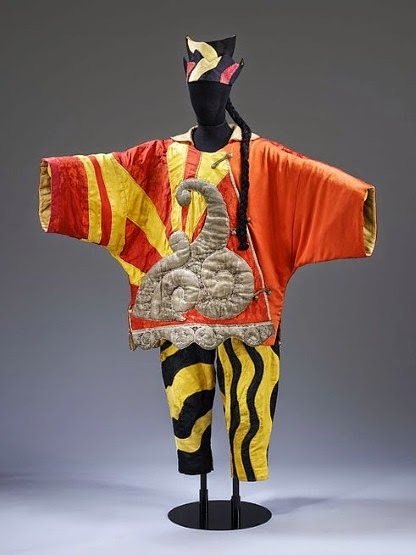 Picasso’s less familiar works include the sets and costumes he designed for modern ballets, which gave him the opportunity to create his largest painting, as well as mobile works of modern art. 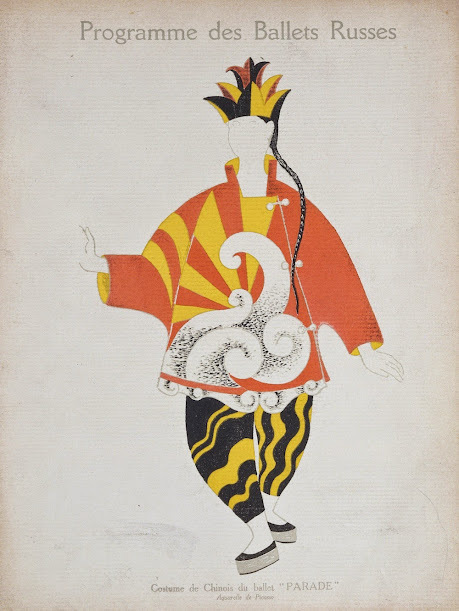 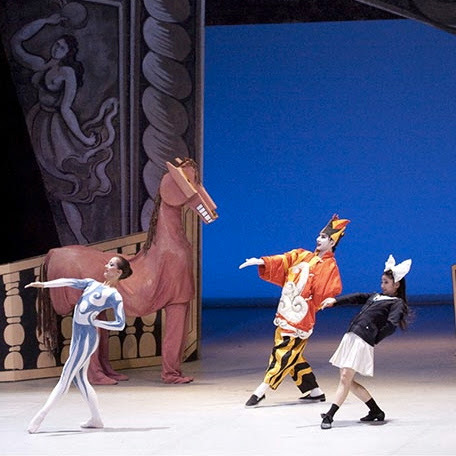 Picasso’s most famous contribution to the ballet is his collaboration with Serge Diaghilev’s Ballets Russes on Parade, a 1917 ballet about circus life for which Picasso designed all the sets and costumes. 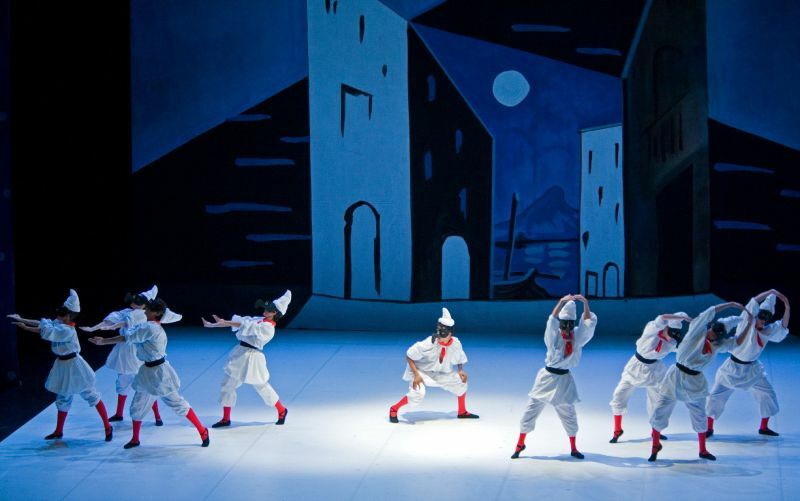 At the time, Picasso was not the only major visual artist creating for modern ballets. 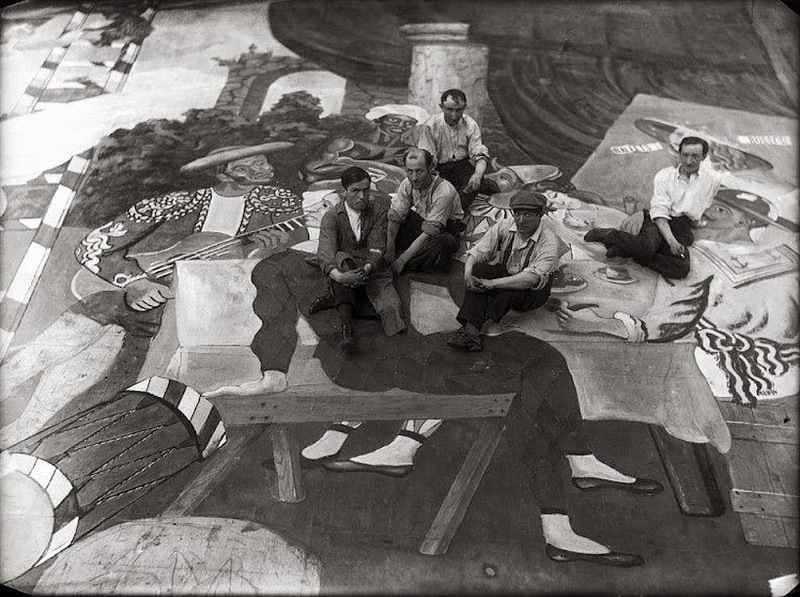 Other contributors include painters Fernand Léger, Francis Picabia and Giorgio de Chirico, photographers and film-makers such as Man Ray and René Clair, as well as writers such as Jean Cocteau, which perfectly illustrates the diversity of influences shaping modern art forms at the beginning of the 20th century.